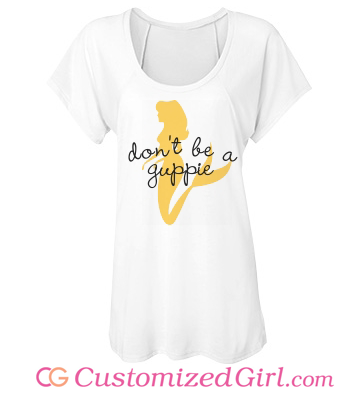 Design Your Own Shirt with Customized Girl! Feel like you constantly see the same designs on everyone, in every store, and all across the internet? Stand out from the crowd and create your own fashion at Customized Girl by designing your own shirt! 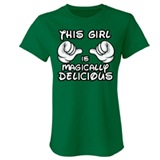 We’ve made it super easy to do, the hardest part is choosing the style of shirt you want! 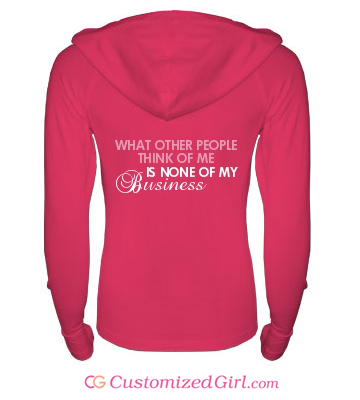 Some of our most popular items are the Bella flowy shirts, burnout shirts and tanks, and any of our custom sweatshirts. – for a little extra flare consider adding rhinestones or a distressed effect! 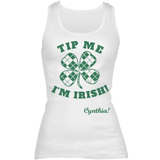 Once you’re completely satisfied with your new custom shirt, add it to your cart and head to the check out! Make sure you have all the custom shirts you’ll need for spring! Use the coupon code below and save this month! Use promo code CGM3, and get 10% off your order! Offer ends 03/31/2014 at 11:59PM EST. Mermaid and Beach Shirts for Spring Break! It’s almost time to forget about school, pack the bags, load the car, grab the girls, and head to the beach! Spring Break is coming! Whether you’re heading to Florida, the West Coast, or planning an A+ staycation, everyone is hunting for the newest Spring Break looks. And guess who’s got ‘em! 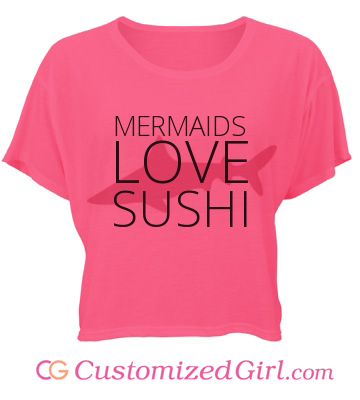 Our mermaid shirts have always been the talk of the town, but we’ve added few new ones that you’re sure to flip over. Not the type of girl to believe in mermaids? 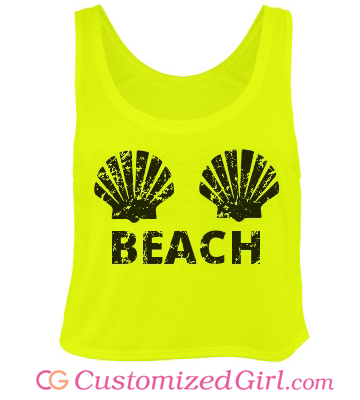 For you, we have our ever popular beach designs. These spring break designs are perfect for creating a beach cover up, just add them to some of our longer tanks or pinnies. 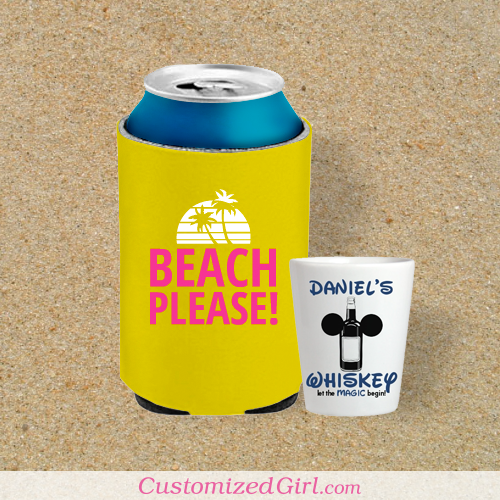 Customized Girl has all the Spring Break essentials that you need, including tote bags, shot glasses, and even custom swimsuits! So find something to stay cool and look cool in because the Spring Break forecast this year is blue skies and cute guys. We Have New Fonts for Your Custom Shirts and Accessories! 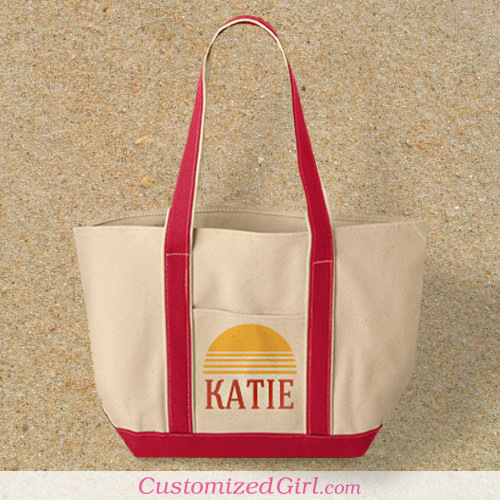 Love adding new designs to your Customized Girl account and sharing them with your friends? Well, it just got better because we have new fonts that are trendy and unique for you to design with! We know variety is key when piecing together your custom shirts and accessories so we made adding these new fonts a must on our to-do list this year! The last thing we want is for you to be uninspired while in our design center, but now with the addition of our new fonts, the sky is the limit to what you can create! Plus, thanks to the new sets of Sans-fonts and Tall-fonts, you can finally create one design with multiple font weights! To showcase the new fonts and how you can use them in your next creations, check out some of the designs below featuring our new fonts! As you can see we have added nine new fonts that are a variety of bold, tall, slim, and light. One font in particular is our favorite and we’re guessing you’ll probably recognize it from a popular 90’s TV show. When you customize your next design on Customized Girl, look for our new fonts in the text style drop down menu and let us know which new font you like the best! 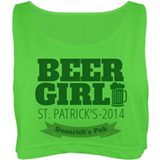 Last Day to Order St. Patrick’s Day Shirts with Economy Shipping! 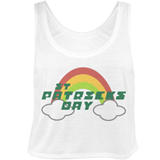 Today (February 21, 2014) is the last day to order your St. Patrick’s Day shirts and receive them in time for the holiday while still using Economy Shipping. Be sure to check out our designs and get customizing before it’s too late! Only a few more weeks and you’ll be ditching the books and leaving your worries behind for a much needed spring break vacation! Nothing but beaches, sun and good times with friends, but before you jet set off to your warmer location make sure you have all the necessary apparel for spring break. Remember you have been trapped in cold weather for the past couple of months so it’s easy to forget what the must haves are for fun in the sun. You have enough to think about before your spring break trip so don’t stress about remembering what you need to pack. We’re here to help you prepare! 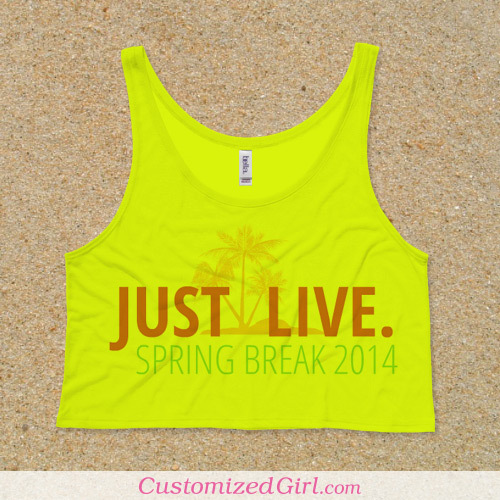 Check out our list of the top 4 must-have items for spring break! This is the only item that you cannot survive spring break without! This year, don’t risk being caught in the same swimsuit as someone else and instead, create a custom swimsuit just for the trip. After all, you’ll need more then one suit for the week! Even though you would like to wear your swimsuit all the time, it’s not reality. At some point, you’ll need to put on something else for shopping or dinner and a great alternative is custom neon shirts. They are perfect for warm weather so now’s the time to bust them out! Once you’re on the beach, you’ll want to stay on the beach. Don’t risk running back and forth to the hotel for more drinks and sunscreen and instead pack everything you need in your custom bag! Um, you came to party, right? Well, those shots need shot glasses and those canned beverages need can coolers! Now that you have a head start on your spring break packing, where will you be going this year? 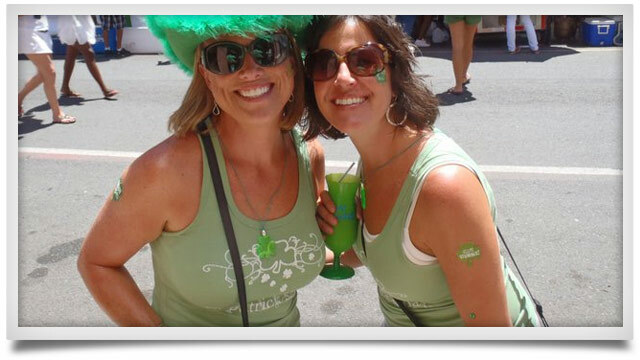 St. Patrick’s Day will be here before you know it so now is the time to start creating the perfect St. Patrick’s Day outfit! Don’t wait until the last minute and risk being the one person who has no green to wear; instead be the girl who stands out for having the best green attire! 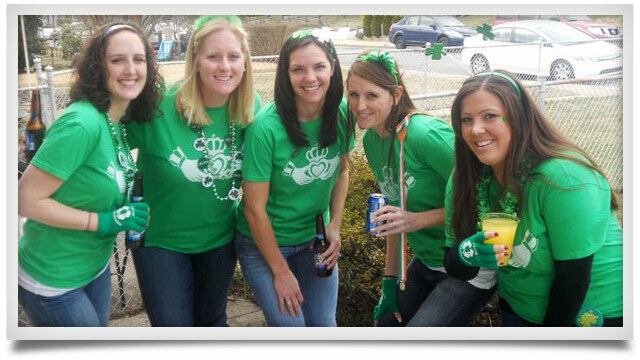 Your St. Patrick’s Day outfit will probably have lots of pieces to it, but the heart and soul of the outfit is the shirt. 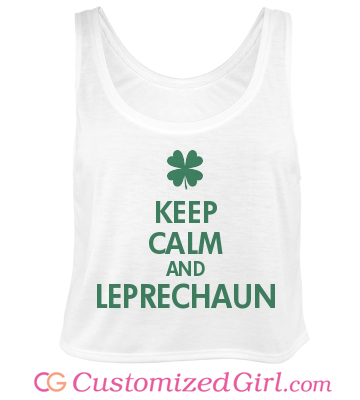 Treat your shirt as the canvas it is by creating your perfect Irish saying, whether it’s the classic, “Kiss Me I’m Irish” saying or something that is 100% original! Just look at what some of our classy lassies have created in the past using the fonts and Irish art we have available in our design center! 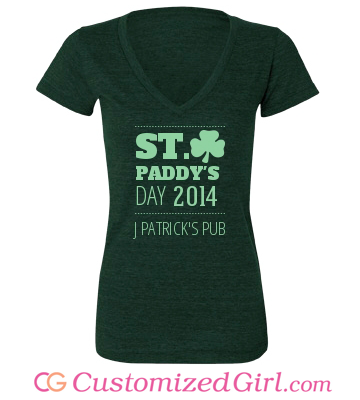 Looking for a St. Patrick’s Day shirt, but not up for the customizing task? Don’t worry! 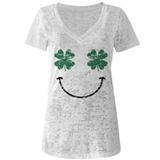 We have filled our gallery with Irish designs that are guaranteed to be the best St. Patrick’s Day shirts for women! We know every girl has their own style so we make sure to keep a wide selection of shirts that any design can be added to like out popular custom burnout tees that are super trendy and stylish! 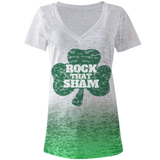 Check out some of the shirt styles and designs we have ready for you to purchase for St. Patrick’s Day! 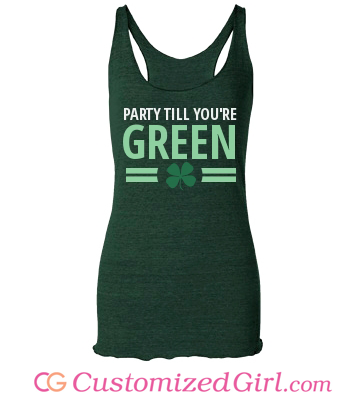 See more St. Patrick’s Day shirts! Our Label Rebels always surprise and delight us with something new! 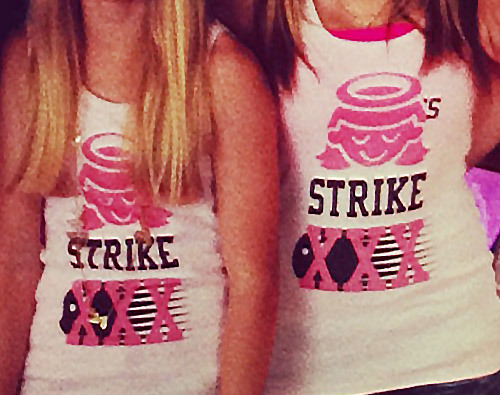 And that’s just what Paula did with these custom birthday party shirts she created for her daughter’s 14th birthday party. We loved what Paula created for both the front and the back of the shirt. On the back, you’ll notice she included the guest’s name, which is a great personalization idea for parties! Paula used the Name & Number feature in our design center to add each guest’s name to the back of the tank top (and the birthday number: 14). 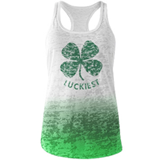 This gives the whole tank top design a sporty look, reminiscent of a team jersey. 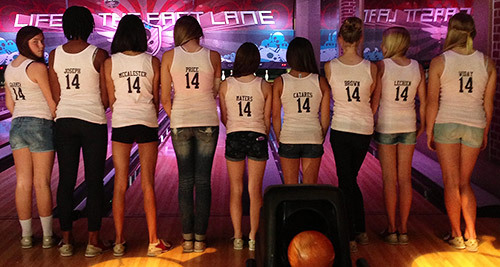 More bowling teams should absolutely adopt the name and number style of jersey. The pictures Paula sent us certainly tell the story about how great the party was and now each guest has a keepsake to remember the good time they had. 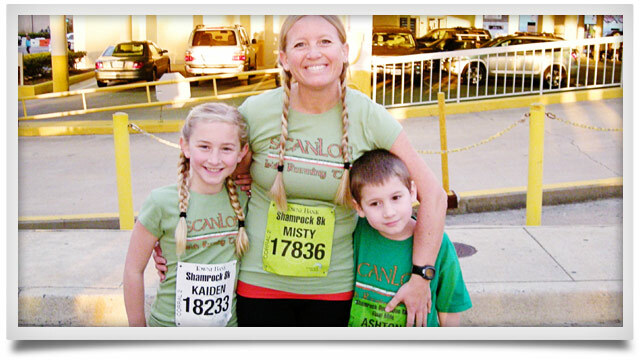 We reached out to Paula and asked her to share the story behind her design! We absolutely loved the shirts we designed. 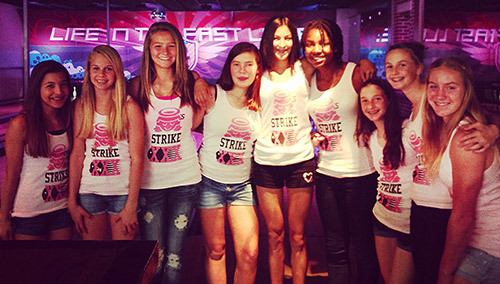 My 14-year-old daughter had a bowling party and the shirts were a huge hit with all the girls. They still wear them even though the party’s long over. It was an extra special touch and we got some great picture memories. It was easy to design… and the turnaround time fast. Thank you! 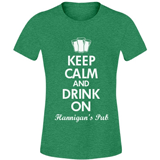 Don’t Stop the Party; We Have Custom Mardi Gras Shirts! If you’re going to be tackling the craziness that is Mardi Gras, you’re going to need custom Mardi Gras shirts. And for those of you who have been to Mardi Gras before, you probably already know the valuable reasons to get them. Since Mardi Gras will be raging all night on Bourbon Street, you’ll need a party shirt that can last all night too, especially one you wouldn’t mind spilling a few beverages on and, not to mention, staining with your dinner of gumbo too! 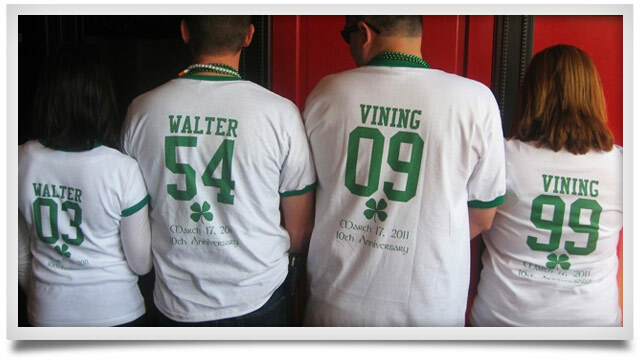 Mardi Gras shirts are also ideal if you’re going out with a group of friends because in the crowds of people, you’ll want to be able to find your drinking team quickly and locate any stragglers. But what if you’re not going to Mardi Gras? No problem! 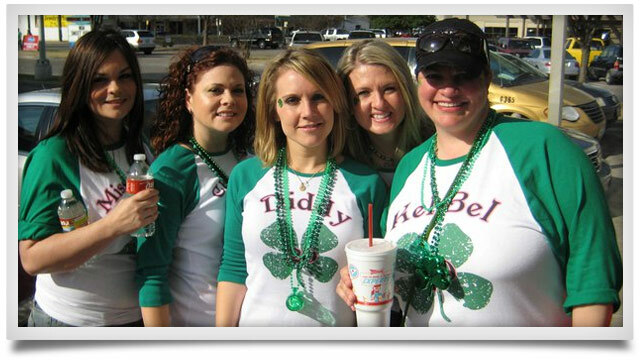 Create a custom Mardi Gras shirt and celebrate at home! 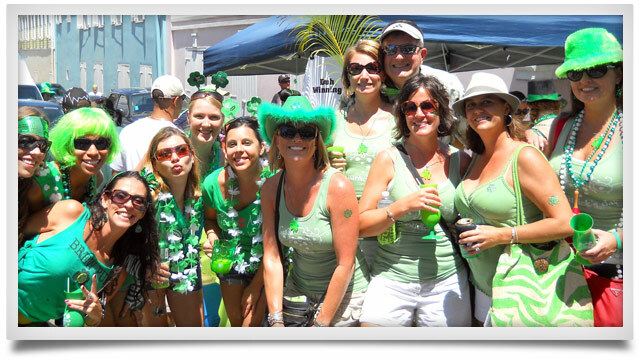 The shirts you create will help keep the vibe right and the party going all night just as if you were on Bourbon Street. 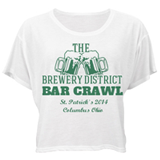 Plus, after the Mardi Gras festivities, you have a shirt to remember all of the good times with. Just don’t miss the chance to get your custom shirt because this year’s Mardi Gras starts on March 4th!